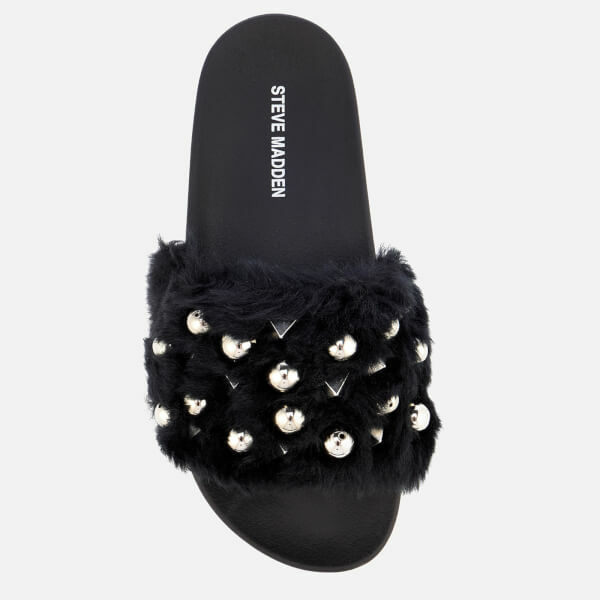 Women’s black slip on slide sandals from Steve Madden with faux fur uppers. 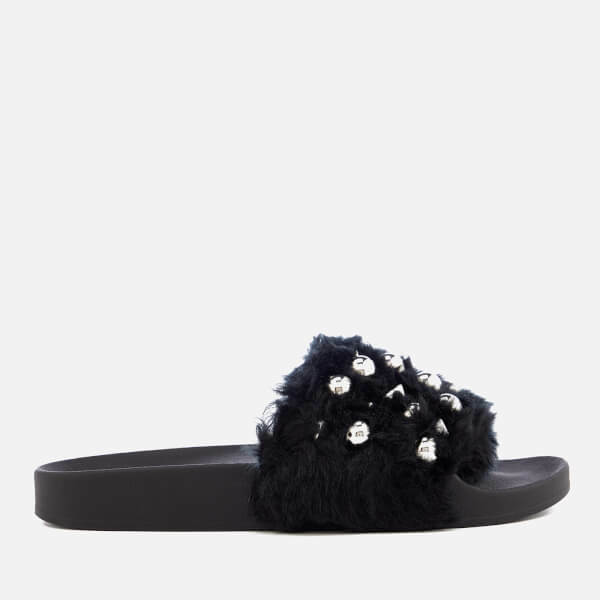 Set on a moulded flat rubber footbed, the ‘Yeah’ slippers feature silver-tone round ball and pyramid stud embellishments embedded into the fur-lined uppers. Uppers: Faux Fur. Sole: Rubber.